Dropping frame rates negatively affecting your performance and gaming experience? Lowering graphics settings to achieve a playable performance? Evetech firmly believes that price should not limit your ability to play the latest games with the best possible performance. AMDs brand-new range of RYZEN 7 CPUs allows us to do just that! 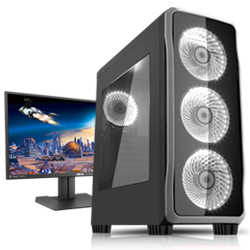 Our extensive range of gaming desktops – powered by the formidable RYZEN 7 series of processors – will arm you with the tools you need to make your gaming experience more fluid and enjoyable. 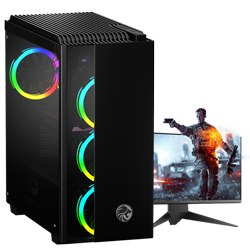 Paired with the best graphics cards in the world, these processors contribute in making a formidable gaming machine – granting you the ability to play the latest games at astounding resolutions, in beautiful eye-catching detail. Choose from a wide-variety of RYZEN 7 Gaming PCs, all equipped with powerful hardware, intended to handle the most intensive of tasks – without breaking a sweat! RTX 2070 8GB OC Ed.